This is in my dreams for later on this spring and summer. Reality is much more grim!! The garden is pretty bare right now – a few Brussel sprout plants made it through the freeze along with some of the sugar snap peas and an abundance of the beet varieties planted this past fall. 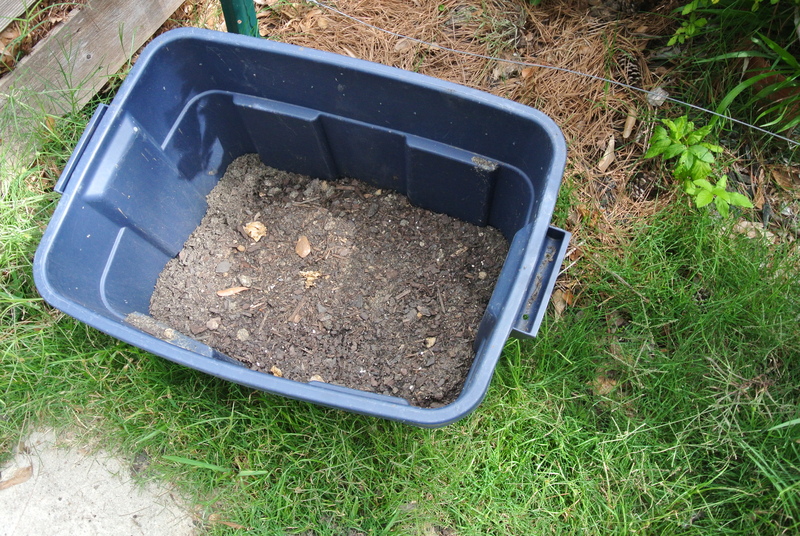 I have pretty well filled the compost bins with leaves and shredded leaves to be used for mulch in the near future. I did transplant some lettuce plants yesterday but the labels have faded and I have no clue which variety will grace my table. The small half long carrot seeds planted last week have yet to show their tops. I will plant another round of carrots this week and continue some staggered plantings into early spring. My friend John is allowing me to continue working the 4X4 plot I placed in his yard last year. He loved the abundant returns from the Juliet tomato plant. He had a good number of cucumbers as well as a handful of Texas A&M sungold tomatoes. We may even add another 4X4 adjacent to the first one. 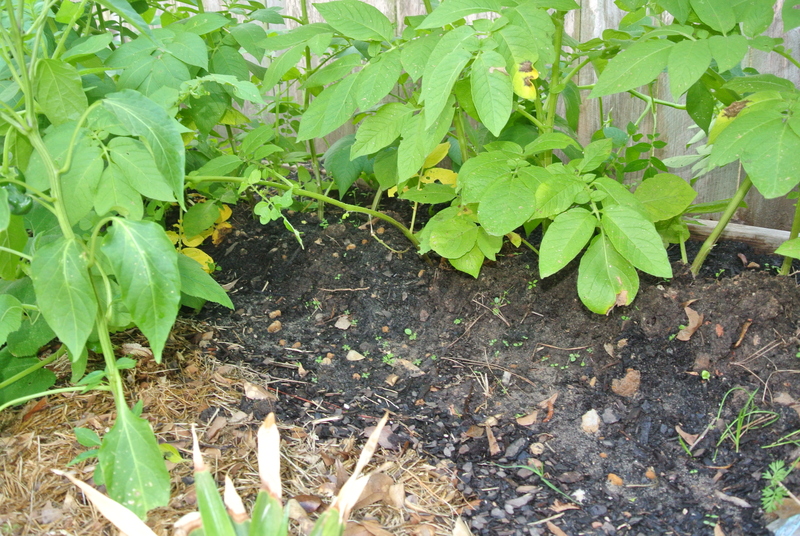 Making backyard gardening converts one by one. He has some beets poking up and I planted some chard for him last week. 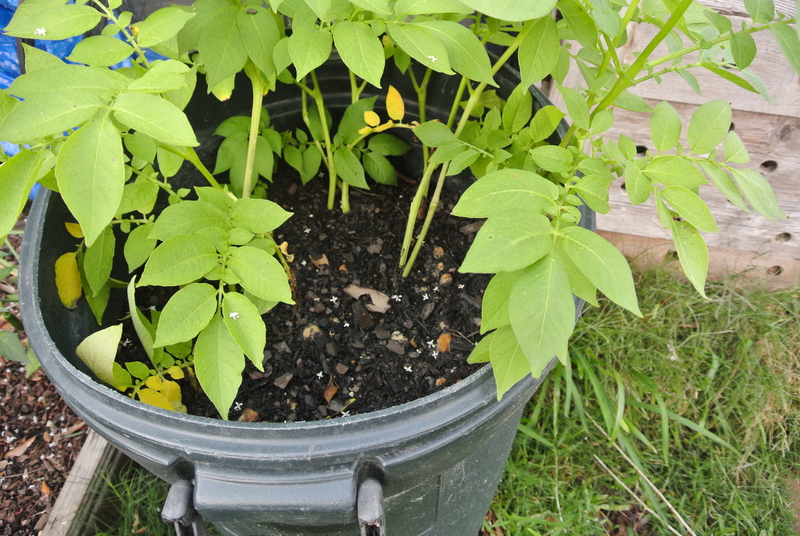 Checking on my worms – the bottom bin looks done. Almost all of the little guys have moved up to the penthouse for the fresh food. 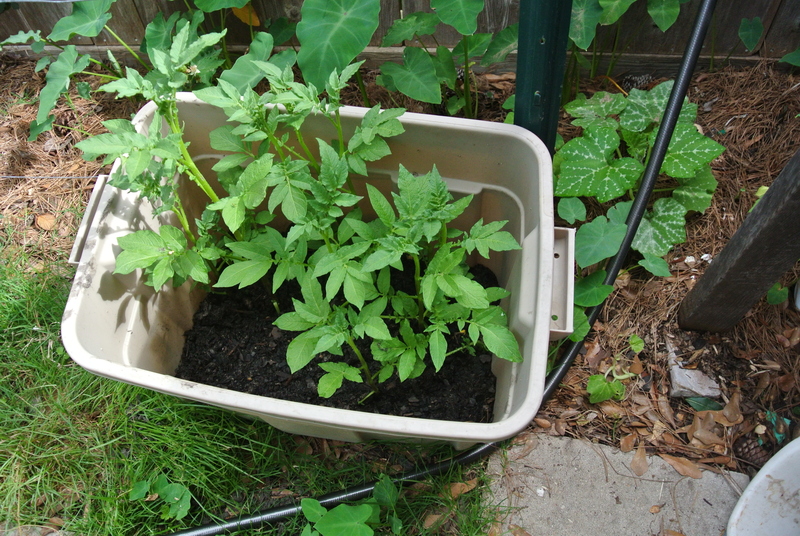 Will probably sort the bottom bin this coming weekend and feed the plants. Speaking of plants – the strwberry plants are full of blossoms and I noticed a few berries that are a week or so away from taste testing. Can’t wait- but I must!!!!!! I have been out pulling weeds, removing early berries on the strawberry plants, checking on the blackberries and I just loving seeing it all grow!!!!! Swiss Chard, Romaine lettuce, garlic, carrots, asparagus ferns, beets,a few small weeds, potatoes way out in back and empty plastic jugs waiting to be put in service…. they will be mini greenhouses. I call it Smörgåsbord grouping. I can pick a salad without taking a step. I was down at the farmers market this morning and saw Romaine lettuce going for $2-$3 per head and they didn't look nearly as good as mine. Swiss Chard- bunches of 5 leaves for $3 to $4 an bunch. People were carting out bags of the stuff. Makes me wonder if maybe I can have a fourth or fifth career selling organically grown veggies….. Hmmm. Maybe I should pull out the business plan forms I picked up a couple of years ago and give it a try. The booths selling eggs ran out by 9:30 AM except for one and the line was 10 back…. $3/dz. for white eggs and $4/dz for brown. Same feed, same pasture, same bugs to eat….. there is not an advantage to buy brown eggs, they taste the same …….. the farmer likes the perceived differences!!! Check out my new photos from today's garden visit, Oh, by the way, my latest batch of beer is ready to drink – Farmhouse Ale…. go figure. Even my wife liked the finish, not too hoppy- just right.